Enter and dial *#*#8255#*#* from your phone dialer, you’ll be shown your device ID (as ‘aid’). Second way to find the device ID is by going to the Menu =>Settings= > About Phone= > Status. The IMEI / IMSI / MEID will be there in the phone status setting. 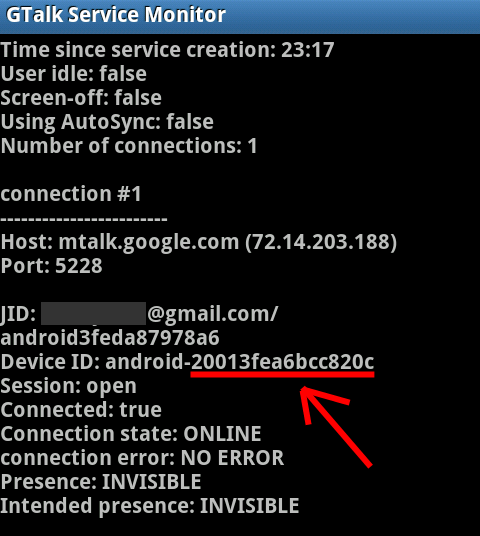 You can also use an Android app from play store called “Device ID” that will quickly show the ID of your Android Device.